The "Contact Doug" email form on this site is working again. However, if anyone has submitted an email to me via the "Contact Doug" page between Feb 9 - Mar 23, please resend it via the form. Sorry for any inconvenience. Read more about "Contact Doug" Form Fixed! Here’s a cool site for any fellow Torontonians who are also fans of speculative fiction. Friend and fellow writer, Karen Bennett, maintains Fantastic Toronto, a web site that presents "a bibliography of science fiction, speculative fiction, fantasy and horror set in (or with major mentions of) Toronto." I am a huge fan of the late Roger Zelazny (pictured here), one of the three so-called "New Wave" writers who redefined the SF&F field in the sixties and seventies (bonus points if you can name the other two). Zelazny died in 1995 from cancer, far too young at 58. Read more about A New Zelazny Novel!! My story "State of Disorder" will be translated into Hebrew for publication in Mercury, a new magazine in Israel. "State of Disorder" was first published in the long running and now defunct (again) US magazine, Amazing Stories, in 1999 (cover shown here). I'm in Rome for the first time this week, on a business trip with some time to play tourist tacked onto the end. To mark the occasion, here are two of my stories that have previously been published in Italian. 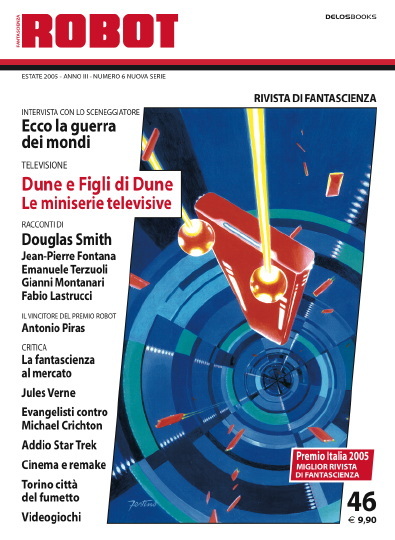 "Scream Angel" appeared in the Italian print magazine, Robot (from Delos Publishing) in 2005. Read more about Ciao from Bella Roma! 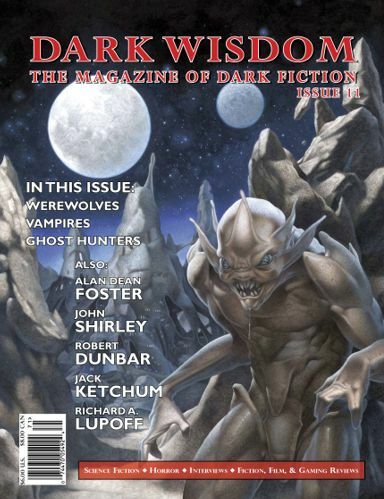 A new monthly Romanian print magazine, Sci-Fi Magazin (yes, that's how it's spelled), will be translating and publishing my Aurora-winning short story "Scream Angel" later this year, likely in their April issue. "Where do you get the ideas for your stories?" It is both the single most common question asked of writers and the one that puzzles writers the most. And our answers, I think, usually puzzle our questioners just as much.